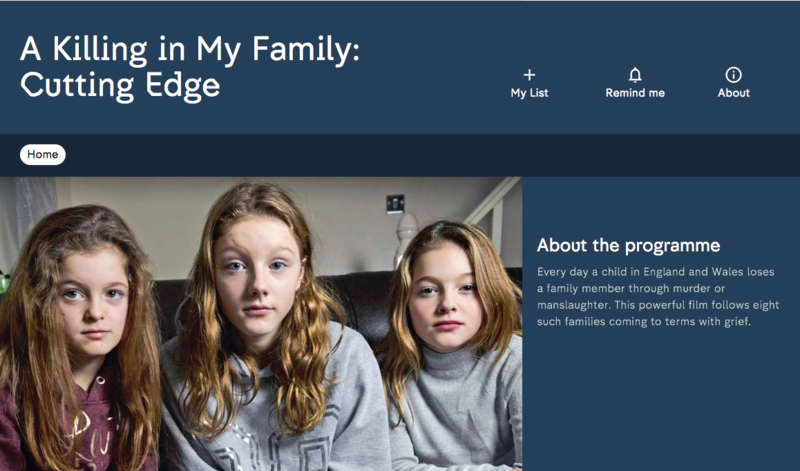 Dr Lynsey Gozna (University of Leicester) watches Channel 4's 'A Killing in My Family', featuring the work of bereavement charity Winston's Wish. Hearing the question 'Why did Daddy kill Mummy?' asked by a child attending a homicide residential weekend run by the specialist child bereavement charity Winston’s Wish is heart-breaking, tough and impactful. I was not alone in this response, judging by social media following this documentary, which followed the experiences of 15 children and their families trying to make sense of grief and loss from murder. The shattering experiences sensitively portrayed were those of children whose parents had been taken from them suddenly and through violence. This included domestic homicide-suicides where children were coping not only with the loss of both parents, but the impact of being abandoned at the scene of the crime, and an entire change in family dynamics. This was the plight of families coping with the collateral victimisation of such an act and the hidden and often forgotten lives of those affected by the visceral realities of knife and gun crime, whether random or intentional. The response to homicide is often portrayed as a need for justice along with questions surrounding motive – understanding the ‘Why?’ behind such absolute acts of violence. However for those left behind, the challenges continue, often with little support outwith the charity sector – the families of loved ones not being perceived as victims and in regard of the justice system, largely peripheral to events. In the year to September 2016, there were 695 recorded incidents of homicide in England and Wales (Office for National Statistics, 2017) and considering one child every day is bereaved of a parent in this manner, the role for tailored therapeutic intervention is critical. Facing challenging issues of childhood grief and loss in a timely, safe and contained way, while not undoing the loss of a parent, can give hope in regard of the future and strategies to cope with a life that is irrevocably changed. The children and young people supported by Winston’s Wish could begin to develop their understanding of the range of powerful emotional responses to loss through a variety of creative expression, gain permission for their tears and engage in a collective experience of childhood grief with those who could truly empathise. The severity, breadth and accumulation of adverse childhood events is acknowledged as playing a critical role in psychological development and mental health (e.g. Ackerman & Statham, 2014; Read & Bentall, 2012). Sadly, the delivery of tailored early intervention for childhood trauma remains variable at best. Many adults engaging in therapeutic interventions in applied clinical and forensic psychology settings are the product of unidentified childhood trauma and victimisation and a lack of services to meet their historic needs. The significance of this documentary should therefore be immense. It is as much about enhancing awareness of the tragic experiences of children and young people affected by homicide as it is to emphasise the sheer magnitude of such psychological impact when there is no capacity for ongoing support. The need to avoid putting the toothpaste back in the tube in adulthood is recognised – the commitment of consistent resources to childhood trauma remains a challenge we need to address. - Read about Winston's Wish's founder, Julie Stokes OBE. Read, J. & Bentall, R. P. (2012). Negative childhood experiences and mental health: theoretical, clinical and primary prevention implications. British Journal of Psychiatry, 200 (2), 89-91.